Take a ride through the beautiful Somerset countryside in our original steam-hauled trains, and relax among the sights and sounds of an old-style country branch line. Watch out for special events including Thomas the Tank Engine, Steam Galas and Santa specials. 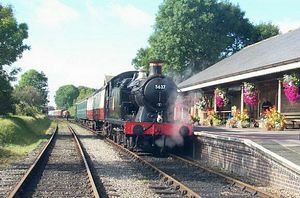 Relax and enjoy Sunday Lunch or an evening meal aboard the luxury, steam hauled Mendip Belle. Special wine and dine events include Valentine's evening, Murder Mystery evenings and Halloween. Check the website for dates. Drive a steam engine and realise your dreams! We offer a number of ways to experience the thrill of taking the controls of a steam engine. Driver for a fiver, from Easter to October you can have a 'taster' of what it's like to drive a steam engine. On the days indicated in the timetable, one of our shunting engines will be in steam, and for a mere 5 you can take its controls for a run in the yard. But be warned you could catch the bug! 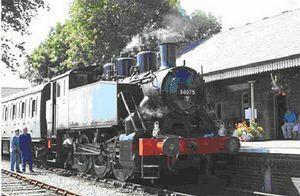 Footplate Experience Courses: feeling more adventurous? 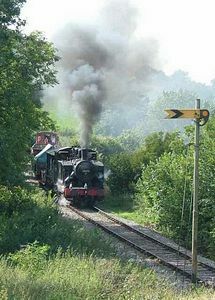 Then take one of our half-day or full-day Footplate Experience Courses. Guided by our expert footplate staff, you will soon be driving and firing on our main line. Bring your partner and family to show them what you can really do! For prices and availability, contact the booking office. Want to run a railway? Become a volunteer. From the Station shop to driving the engines, there are many ways you can help. Indeed without our members and volunteers it would be impossible to keep the railway running. Membership of the Supporters Association gives you free admission, a newsletter, a say in how we run the railway and the opportunity to contribute to planning its future. 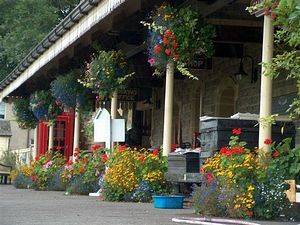 Cranmore Station has: The Whistle Stop Restaurant - snacks, meals and drinks every day trains are running. Engine Sheds and Workshops - open to the public, where you can see how we prepare and maintain the steam engines and rolling stock. Cranmore Station is just off the A361 between Frome (approx. 7 miles) and Shepton Mallet (approx. 3 miles).